Each year, Eagleville accepts 15 to 18 interns across three separate tracks: counseling, social work and psychology. Interns are typically Master’s-level students, but candidates may also be working toward a bachelor’s degree as well. Nicole Chunta (pictured) would agree. 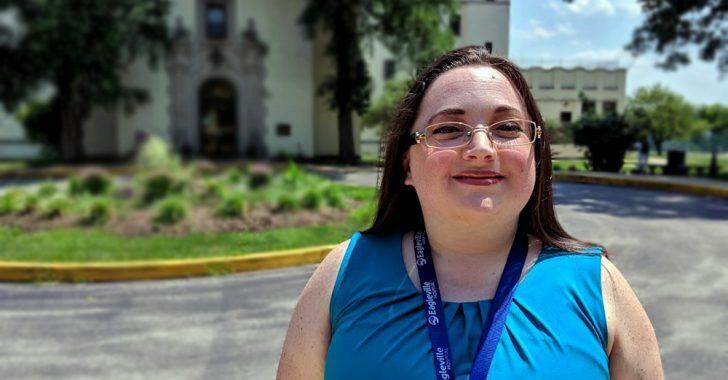 Now a permanent staff member, Chunta first connected with Eagleville during her spring 2017 semester at Villanova University, where she was pursuing a master’s degree in counseling. She started off as a practicum student, with similar responsibilities but fewer hours than an intern, before returning as an intern in the fall on the co-occurring male unit. In the initial phase of the internship, students observe individual and group therapy and learn the documentation requirements and our operating system, all under the direct supervision of a dedicated staff member, Toth explains. As their clinical experience grows, the interns begin leading their own therapy sessions. “From the students’ point of view, they get to see everything they’re learning about in class, but in real life and in real time,” Toth says. Within her first two weeks, Chunta was co-facilitating open-process group therapy sessions, which were usually comprised of 10 patients, with her supervising therapist. Once she became comfortable, she started leading them by herself. She also began leading a psychoeducation group, which ranged from 20 to 40 patients. Since the launch of Eagleville’s internship program in 2002, about a quarter of accepted interns have gone on to join the staff. Chunta is among them: she earned her master’s degree in May 2018 and now works as an evening therapist in the very unit where she interned. She conducts individual exit therapy sessions with patients who are about to be discharged, addressing any concerns or questions they may have about their recovery beyond Eagleville. She also runs two or three groups sessions each night. To learn more about an internship at Eagleville Hospital, contact Paul Toth, Staff Development Manager and Clinical Supervisor, at ptoth@eagleville.org or call 610-635-7458.